Excellent. Gary Null is a fraud and should be charged accordingly. Hennelly has also appealed to labor unions for donations. (In a characteristically democratic move, he consulted listeners to his show before doing so.) He has pleaded the station’s case in labor halls and emails, winning sums like $1000 from the Uniformed Fire Officers Association to put toward WBAI’s $2.5 million annual operating budge. Any union that supports WBAI or Pacifica should be flooded with emails, correspondence and phone calls imploring them to not support the voice of left-wing totalitarianism in the United States. The Uniformed Fire Officers Association should know better. The programmers and activists at WBAI/Pacifica support the continued legal harassment of the NYFD by federal judges. If you personally know any firefighters, please ask them to contact their union and express their concern about affiliation with this anti-American organization. More on the collapse of WBAI here. Update: Interim program director Bob Hennelly was fired. 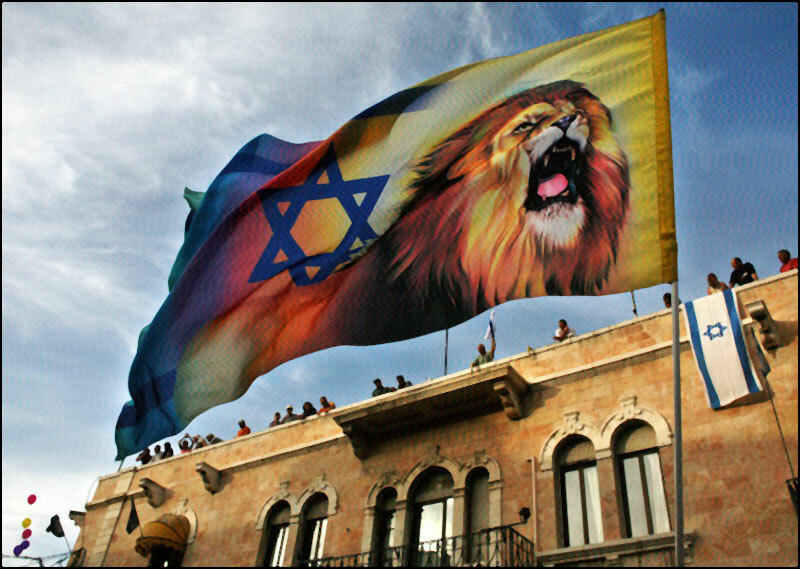 Martin in the Margins has a two–post series on Christian anti-Zionism that is well-worth reading (and an update, too). I have four comments that I originally intended on posting at Martin’s blog but the comments grew so long I decided to turn them into a post. First, a preliminary statement: the histories of Jews and gentiles, going back to the ancient Greeks and Romans, are interwoven. However Jewish–Israelite–identity was predicated on a difference from Greeks and Romans starting with the mark of the covenant and extending to bans on graven images, dietary restrictions and so forth. This notion of intentional, “chosen”, difference between Jews and gentiles predates Christianity. (1) Rather than ending the piece by mentioning antisemitism, I think we should begin with what “the Jew” represents in the Western mind, the Western heart. Because before you have “the Christ”, you have “the Jew”. It all starts there. Not necessarily Jew hatred, I do not think all Christians are at their core antisemitic. But I am saying that the relationship between the Jewish people and institutional Christian churches, whether Protestant or Catholic, has generally been negative. Thank goodness this has changed. I recognize the strides made in relations between the two faiths. So much that we can speak of a shared “Judeo-Christian” heritage. This was unthinkable not so long ago. (3) Writing as a largely secular and increasingly conservative father, I pay more attention to values and actions than theology. I do not know what happens to our spirit after we pass away. Or if we even have a soul. But I do know what we think and what we believe impacts how we behave. I think Jews would benefit by adopting this perspective towards our evangelical brethren instead of constantly worrying about their supposed ulterior motives. Lastly, the majority of Jewish critics of evangelicals are secular leftists who do not believe in God, so it is strange they constantly bring up this theological element. 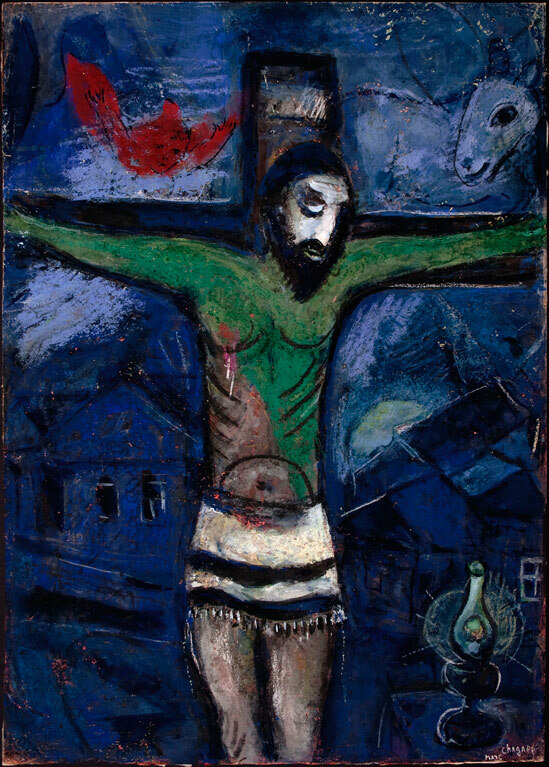 Chagall’s genius was to use Jesus’ crucifixion to address Christians, to alert them via their own symbol system to the systematic cruelty taking place in the Holocaust. Whenever Christians overemphasize the uniqueness of Jesus’ suffering and death at Calvary, a past event, we risk losing sight of all the crucifixions still being perpetrated. In our day, wanton violence, maiming, torture and other cruelty take place, not only against Jews, which is what concerned Chagall, of course. The value of Chagall’s crucifixions is that each holds up a mirror that says to Christians, Here is your Lord. What will you do to stop this crucifixion? I spent a few days in northern and central Florida for a conference and had an excellent time. My progressive friends thought I might be risking my life due to the state’s liberal gun laws. Instead I found friendly people, delicious food and breathtaking landscapes. It helped that I had a local and longtime friend as a guide who took me on the back roads including a short trip to the Cassadega Spiritualist Camp, known as the “psychic capital of the world”. We were not there to communicate with spirits, buy crystals, or have a tarot card reading. More a place to stretch our legs and walk around. The small trail surrounding the town provides nice views of local flora and fauna. Unfortunately the “Spirit Lake” was extremely low on water and the “Spirit Pond” was completely dry. A reflection of this season’s drought. I have a peripheral interest in the spiritualists because there was some overlap between them and other radicals and eccentrics—Fourierists, anarchists, free thinkers, and back to nature/health nut types—who established utopian communities across the United States during the nineteenth century. Cassadega was founded in 1875 by renowned spiritualist George P. Colby. He attributed his psychic abilities to his baptism in a frozen lake, which left him nearly dead. In this state, Colby claimed his dead uncle spoke to him and let him know he would become a medium. Spiritualism gained popularity in 1848, the year of Colby’s birth and by the 1860s and 1870s it was quite common for mediums to travel from town to town, in some cases making quite a bit of money. Colby’s séances were so popular that he had to turn people away for lack of room. One of Colby’s most conjured spirit guides was a Native American named Seneca who ultimately guided him south to Florida. By 1875 Colby was suffering from tuberculosis and damaged vocal chords. Seneca told Colby to inhale pine smoke and drink water from the springs he would find in order to cure himself. Heeding Seneca’s advice, Colby traveled by train to Jacksonville and made his way through the forests of Volusia County, ultimately arriving in the location of Cassadega. Colby filed a homestead claim in 1880 which was approved in 1884. By 1881 he was cured of his maladies and took his spiritualist tour across seventeen states. It was at one of these meetings that he met the mayor of Willoughby, Ohio and fellow spiritualist E.W. Bond who suggested Colby visit the Lily Dale Assembly near the village of Cassadega, New York. Colby appropriated the name for his new community, which would be known as Southern Cassadega Spiritualist Camp. Colby and the Lily Dale Spiritualists viewed the Florida location as an ideal place to escape the frigid northern winters. Things worked out well until the early twentieth century. In 1911 his house burned down, followed by other fires during the 1910s and 1920s (see picture above). Colby died in 1933, nearly destitute, supported by a small group of followers. Much more on Colby here. Looks like some local kids were doing doughnuts in the “Spirit Pond”.